baby girl made it safely here monday night! after two days of being in labor, i was finally able to have the natural birth experience i was hoping for...and sis came just 8 years and 26 hours after her brother. 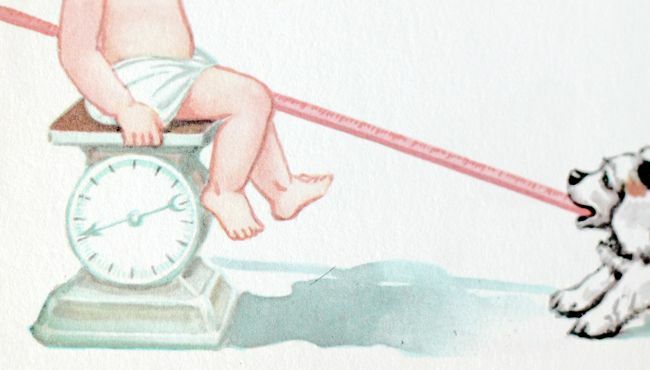 early july is my lucky baby month! our phoebe sue is the spitting image of her papa and the funniest little friend already...so many faces and noises. we're all head over heels for this gal, especially max! he is in love and has been an amazing big brother already. we're blessed and blessed. and i'm not holding my breath, but we think we see some red on that head of hair! so here we are. finally home...low on sleep but filled to the brim from the goodness of our girl. it was been the wildest of rides...being pregnant again and growing our little family. and it's been such a treat getting to share it all with you. thank you so much for all of the love and sweetness and encouragement you've give me along the way! we had a baby, friends! She's BEAUTIFUL! I'm so glad everything went well. I'd been keeping my fingers crossed! she's soo gorgeous, congratiulations! You must be soo happy! She's wonderful!!! Such a very happy announcement!! Congrats, she's absolutely gorgeous! She is so perfect! Congratulations, mama! (AND family!) she has the perfect name. Phoebe Sue! I just love it! Awww, she is so beautiful. And I love her name. how precious! Congrats on your growing family. oh wow-- she is so beautiful! So many congratulations to you! She is soo beautiful and you are amazingly cute together. All the best for the four of you!! I have been waiting and waiting for this!!!! Hooooray! So happy for you. Love her name as well.... I expected nothing short of absolutely beautiful! Congratulations to your family, she's beautiful and I'm happy to hear everyone is doing well! You did a good job, mama! Right now I think she really looks like her Daddy - and I can totally spy some red in that sweet little head of hair! 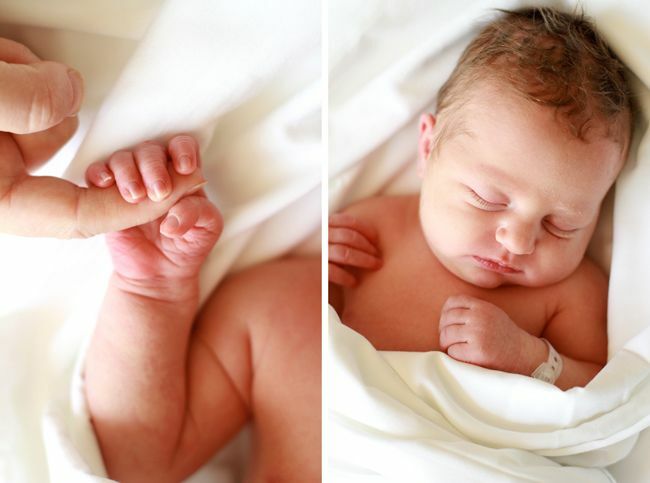 Gorgeous baby, mama, and of course pictures! Congratulations- such a joy! so precious...so beautiful...so sweet. congratulations! She is beautiful. Thank you for sharing your wonderful journey! SO SO happy for you. I hope you will share some of your birth story as a mom looking at a second pregnancy after an induction and a c-section. I am so encouraged that you got the have a natural birth! congratulations again and again! i love her. Congrats! Beautiful name and baby girl! How fun for your kids to have birthday so close together! Congratulations! Such a beautiful post, and little girl. What a lucky daughter and sister. All the best! She is the sweetest little bunny! I can't wait to see what she looks like with her eyes open! Congrats to you & your expanded family!!! I can't wait to see her grow and GROW! aw! congratulations katie! she looks like such a little sweetie. all the best to your family! what a beautiful girl! congrats to your family! congratulations!!! she is beautiful, and such a pretty name! Congratulations! She's just adorable- those yawns, my goodness! So cute! Beautiful! Welcome to the world, Pheobe! I am so happy for you guys! what a sweet little lady, i can't wait to watch her grow! Welcome, baby girl Phoebe! She is beautiful & you are absolutely one stunning mama. Sending so much love. what a precious baby girl! congratulations you three!!! Felicità! Bellissima your baby!! Eli. so beautiful. 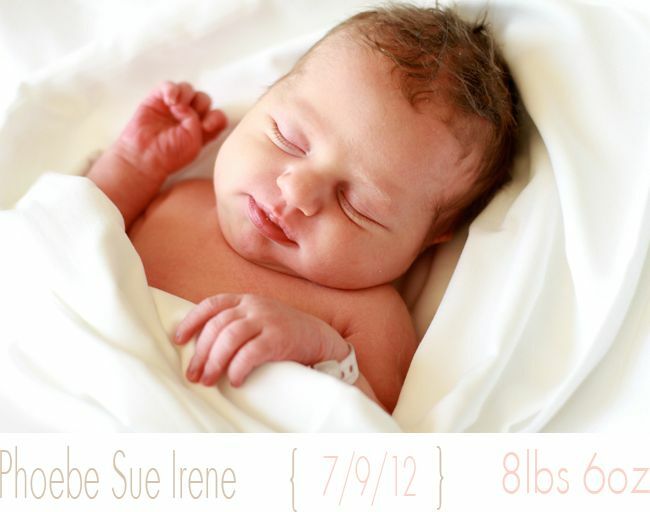 congrats + welcome to your sweet phoebe. i can't wait to watch her grow here on your pretty blog. So pretty! Congratulations to your family! I just had to leave a comment. Congratulations! She is adorable. so many congratulations! she is so so cute and her name is just perfect. good luck with all your sleepless nights and congrats again! Oh my goodness!! She's so beautiful. Congratulations!!! OH my goodness!!!! What an exciting update, how GORGEOUS is she, she does look just like all the pics of her daddy! Happy for you, you must be over the moon, and fun that the b-days are so close! Congratulations on your new bundle! She is beautiful. Enjoy every last drop of this special time with your family! Aw what a cute little lady she is! Congrats to you and your family, Katie! p.s. that's what margo weighed too. cuties. Congratulations, so happy that she is here! She is absolutely gorgeous & her name is so sweet! Can't wait to see the lovely itty bitty clothes you dress her in & all the pictures to come! Good job Mama! Congratulations! Phoebe is beautiful and looks so much like her daddy. :) I hope your birth experience was everything you hoped it would be. Congratulations, Katie! You look stunning! Congratulations Katie! Phoebe is absolutely beautiful. what a beautiful little baby girl! with this little sweetie pie! Enjoy al the special new moments together! She's perfect! What a beauty!!!! Blessings to the moon and back!! My heart is bursting with joy for you! It's been amazing to watch your family grow. Sending lots of love! xoxoxoxo. Congratulations! You both look so beautiful! Ack! So beautiful! She does look like her daddy, and I think she does have some red in that hair! hooray! wonderful news! welcome baby phoebe and congrats katie. she is beautiful and you are looking radiant. Such a beautiful girl ! Tout le bonheur du monde à vous et à votre famille :) Love from France. She looks soooo adorable!!!! :) Congrats! Congrats, she is so beautiful! Congrats! What a gorgeous baby! Awww, max and Phoebe! Too cute. Eeek congratulations!!! She's so beautiful! It has been so nice to follow your pregnancy through your blog. Your so clever with your photos. Awww...she's precious. Congratulations to your little family! YAAAAYYYY!!!!! She is so beautiful, amazing job growing her! So happy for you and family, I bet Max will be the best big brother ever! Oh my! She is gorgeous! What a beautiful little doll. Congratulation, so happy for you. Congratulations! Beautiful girl and beautiful photography! Oh! Be still my heart, she is perfect! What a lovely name you chose as well :). I discovered your blog a few months ago and read everyday, but have never commented. I'm so happy for you and your ever-expanding family! She is beautiful! Here's to life with a newborn and those sweet, overwhelming feelings of love and vulnerability that come with it. You look incredible for just having a baby! I've been a pretty quiet follower for a while now, but I could not resist telling you I love her name and you BOTH look BEAUTIFUL! So much happiness and congratulations to your sweet family! She's a doll, an absolute doll! You look lovely. Still glowing with your little Phoebe. Congratulations! Oh my gosh,she's beautiful! It's funny,last night I was lying in bed thinking to myself,"I wonder when Katie's baby is gonna get here....I bet sometime soon!" Yes,I'm weird. I think about bloggers IRL,haha. But seriously,congratulations (again!) to y'all and Hello to Miss Phoebe! :) Hope your family has a great weekend! She is beautiful! Congratulations, mama! Congrats! You and your baby are gorgeous!! Aww! A beautiful little girl. Congratulations! Yipee!!!!! I am so so happy for you all!!!!! She is absolutely Beautiful, just like her Mama!!!! You take your sweet time enjoying this special time with your lovely family! Big CONGRATS from NC!!!!!!! Eeek! She's so beautiful. Congrats on your new little one! Just found your blog a few months ago and I'm hooked. Congrats, she is gorgeous!!! I knew it was happening! Best wishes for you & your family :) We are over a week late and counting so I am hoping your arrival is a good omen for this weekend! ;P CONGRATULATIONS! my sincere and heartfelt congratulations on the arrival of your gorgeous little bundle phoebe sue. katie, i have been in love with your blog ever since i discovered it last year... thank you for sharing so much of yourself with us. you are so inspiring. what a beautiful family you will all be! wishing you all the happiness your hearts could ever possibly hold. She is so BEAUTIFUL! Congratulations!!!! blessings upon blessings to you all. Congratulations! I hope this little treasure grows up to be a brave, creative woman! All the best to your sweet family! :) wonderful news a big congratulations...little Phoebe shares her birthday with my sister! awwwww congrats! So glad to finaly see her! Welcome to the world phoebe! I see a little red as well! Congrats! She looks precious, although I cannot imagine two days of labour. Good lord, woman! Did you get some kind of finish line prize for all that? Haha. welcome to the colourful and exciting world! Absolutely darling! Congrats to you and your adorable family! oh, i almost missed this post. congratulations on the new sweet addition to your family. you look wonderful and she's a cutie already! Yaaaay! Happy, happy. So happy for you guys! Babies are so exciting. Big THANK YOU! to you for sharing! I can hardly bear the sweetness. First thing I thought: red hair! I totally see it. Your family takes my breath away. So thrilled for you! PS - The NAME! Love. Oh babies make me so happy!! Congratulations!! :D She looks beautiful! She is beautiful! Congratulations!! I love the name too. This post made me cry! 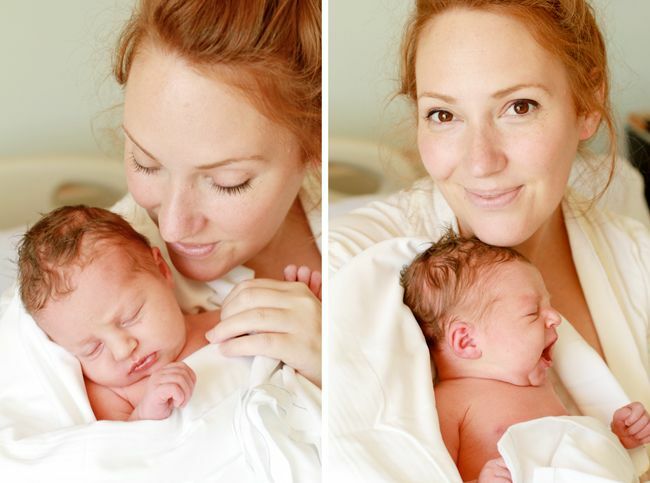 You look absolutely gorgeous Katie, and baby Phoebe is a doll. I am 6 weeks along currently and getting so excited and scared for it all- you are an inspiration! i am so happy for you!! ah! congrats, lady!! she is a beauty. Congrats to that sweet baby girl!!! And I think you're right, her hair looks red already! What a lucky girl! And by the way, you look absolutely amazing in the pictures! I hope you're enjoying your first days as a family of four! Congratulations to your beautiful family! She is so beautiful! And Phoebe is one of my very favorite names. Great choice! She's here! Congrats, she is beautiful. Congratulations Katie, Matt and Max! Welcome to the world Pheobe! oh my, she is absolutely delicious! so many congratulations, mama! i die from the beauty of her. this is precious. So happy for you all and hoping that you're all settling into life (and sleep-filled nights) together well. Enjoy getting to know sweet Phoebe! She is absolutely perfect! And you're looking gorgeous as well. :) I'm so happy for your little family!! It sounds like Max is being a great big brother. Hope you're all getting some rest! so excited to see baby's arrival!! congrats! 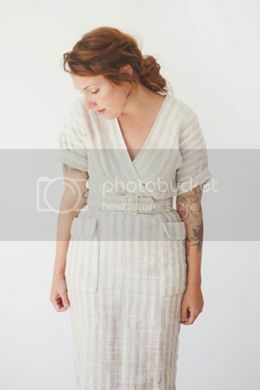 so exciting - beautiful name and photos! she is gorgeous- what a beautiful name. And congratulations to your wonderful family. Awww...sweet baby girl! Congratulations on the newest addition to your family! Rest well and enjoy every moment! congratulations! what a sweet baby! Congratulations, Katie! And welcome to the world, Phoebe Sue! 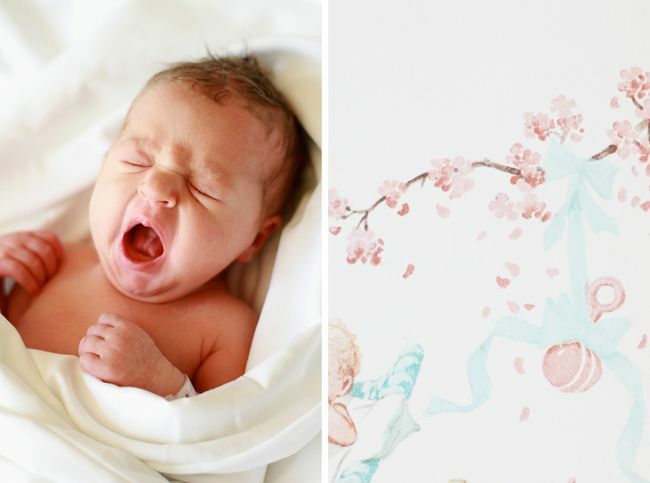 Such a beautiful baby with a cute name to complement! =D All the best in the world to you and your beautiful family! Congrats, Katie! She is beautiful. Her name is perfect and the love she is getting from big brother is precious! This is so exciting! Congratulations, she is beautiful! lovely baby! congratulations to you and your family! oh heavens!! she is PRECIOUS. congratulations mama!! I just found your blog from E Tells Tales and just have to say wow, you are beautiful! Congrats on your new little Phoebe, she is just adorable. Congrats! I've been reading for a few years and it's lovely to see you all so happy! HOORAY. You look so beautiful in these photos. It is almost like you are glowing. what a beautiful little girl! and I love the name Phoebe. congrats!